Located at the entrance to Castellinaldo and nestled in the middle of the family’s vineyards, the Morra winery represents the business’s modern heart, beating with vinification and aging activities. 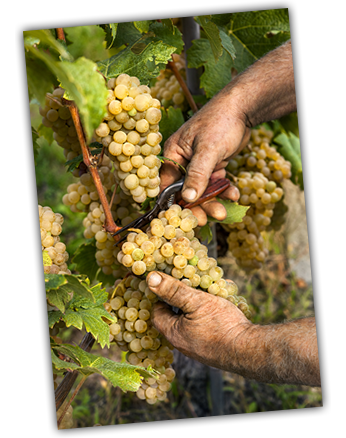 The grapes are picked by hand into small baskets, then processed separately according to the philosophy of crus, or sorì, as the bestexposed vineyards are called locally. The airiness of the spaces, which include a section of steel temperature-controlled tanks, makes the winery the perfect setting for completing the enological tale begun in the vineyard. Cleanliness and order serve as the foundation for an impeccable winemaking technique. The new “Elena section”, dedicated to aging classicmethod sparkling wines, completes the winery.